This month Milwaukee has launched their new ONE-KEY enabled tools in the M18 FUEL range. The First Digital Platform for Tools and Equipment enabling you to manage your inventory, control wireless tools and report performance. 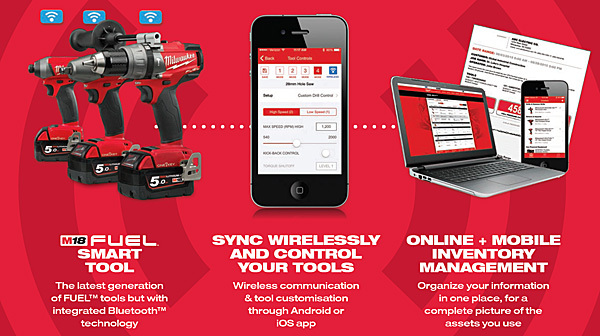 Along with the product launch Milwaukee have released an application (app) that can be used to wirelessly configure the settings of the ONE-KEY tools directly from your mobile device (via Bluetooth). Configure settings on the ONE-KEY tools, such as torque and speed settings. Save, track and maintain configuration and performance records. Visit our ONE KEY page for details of the tools available in the range. We have just received confirmation that Milwaukee are releasing the much anticipated 18v 5.0AH battery. The M18B5 is expected to land on our shelves within the next few weeks. We have been led to believe that the battery will be able to purchase on its on to use with your existing tools and chargers but it will also be in various kits. This is a fantastic bit of news for all of you red fans out there wanting a bit more umph and life in your tools. 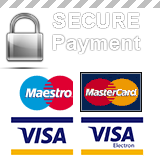 Keep an eye on this site and as soon as we have any more information including pricing we will let you know. Milwaukee have decided it’s about time to meet the New Kid on The Block.........Introducing the M12 BDDXKIT-202C (4 In 1) Drill Driver System. This compact, lightweight little driver comes with a 10mm removable chuck and can literally turn its head to many different tasks using its 3 additional attachments. Whatever task has you in a tight spot this gadget has been designed to help you out, whether you are putting together flat packed furniture and the screw needs to go in just where a standard piece of driver won’t reach or you are an electrician or kitchen fitter squeezing into a confined area. With us being co sponsors of the Milwaukee Yamaha team and sponsors of Tommy Bridewell visor we are pleased to announce Tommy Bridewell will be instore from 10am on Saturday signing autographs. We will also have the Milwaukee guys on site to answer any questions you have & demo certain tools. The knowledgeable CBS Powertools staff will be here to help you choose that right tool for the right job. Come and join us to launch our new stands and visitors on the day will have the chance of purchasing special Milwaukee offers (only available in store on these two days). Milwaukee produce a wide range of durable 'heavy duty' tools and accessories that are ideally suited for trade and industrial use. If you are looking to buy professional, industrial quality power tools, with the raw power and muscle to cope with the every day rigours that trade and industry requires, then take a look at what Milwaukee® have to offer. Milwaukee produce a comprehensive range of top quality 'heavy duty' power tools, with the strength and stamina to get the job done right, day-in and day-out. Designed specifically for professional users who demand extra performance and increased productivity. It's not just Milwaukee's SDS Hammers, Diamond Core Drills and Kango Breakers that have the muscle to perform but the Milwaukee 18-volt and 28-volt cordless range are also fit for purpose. Don't be fooled by the light weight and compact design of these cordless tools, they are packed with advanced engineering and powerful features that can punch way above their weight. The Milwaukee Yamaha Superbike Team are revved-up and ready to go for the upcomming 2013 BSB season and road race series. Power Tools Direct are proud to sponsor this year's team. For the latest news and racing fixtures visit the Milwaukee Yamaha website.